This almond syrup is smooth, nutty and subtly sweet. It is such an easy way to create a delicious almond flavour in all of your favourite recipes. Add something new to your coffee with this unique and irresistible product. This product is perfect for those who don’t like anything too sweet in their beverages, as it is subtle and not over powering. The nuttiness and sweetness is perfectly balanced and will add a delightful flavour to your drink recipes. Where Can I Buy Almond Syrup? Purchase this product from DaVinci and know that only the highest quality ingredients have been used to create this tempting syrup. DaVinci have always been dedicated to using gourmet ingredients, which is what gives their products a luxury taste. This product has been specially formulated to resist curdling when used with dairy products. This can be a common issue amongst other sweeteners on the market. However, use this almond syrup with confidence and know that it won’t let you down. It will dissolve smoothly and evenly into beverages, resulting in a drink that has a delicious almond flavour all the way through and not just left at the bottom of the cup. Be rest assured that this is a safe product that can be stored around children or in a busy coffee shop. The user-friendly plastic bottle is a much safer option that a glass product. This avoids any dangerous situations with broken glass, which could have serious consequences in a busy environment. A little goes a long way with this product, so we recommend starting with a small splash and then adjusting to your tastes and preferences. If you want the perfect portion every time, we recommend using a Syrup Portion Pump. This product is so versatile and works perfectly in lots of recipes. Experimenting with flavours is the best way to find some winning combinations. Its high-quality formula and intense flavour means it is easy to add to all your favourite recipes with out over powering of changing the texture too much. Coffee – if you haven’t tried an almond latte or cappuccino, we highly recommend it! If you want even more flavour, try some almond milk. Tea – This nutty flavour tastes great in tea and with so many flavours of tea available, the possibilities are endless. Ice-Cream – This is a delicious and easy way to add some excitement to your bowl of ice cream. 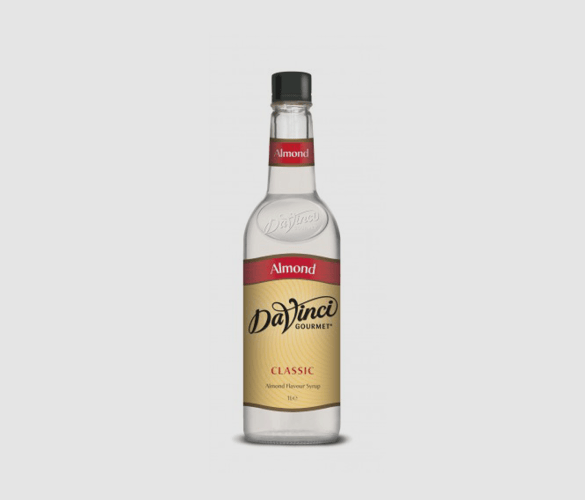 Cocktails – Add a subtle almond flavour to your cocktails or mocktails. This is a great way to add a professional touch to your creations.